It’s summertime in Michigan and that means fresh berries are abundant and sweet. Cherries, strawberries, blueberries and all sorts of wild berries are there for the picking. Farmers markets make it easy for locals to come and buy freshly picked produce for eating, making pies and canning homemade jams and jellies. 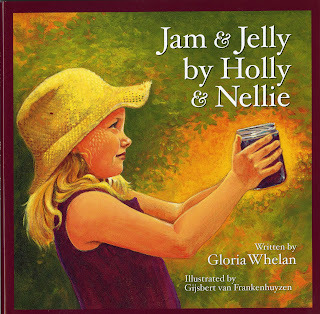 The Clarke Historical Library has purchased a delightful children’s book titled Jam and Jelly by Holly & Nellie written by Michigan native Gloria Whelan and illustrated by Gijsbert Van Frankenhuyzen. The story is about a family who lives a simple life in Northern Michigan enjoying the bounty of the earth and very much aware of the changing seasons. Winter will be coming on, and Holly needs a new winter coat and boots, but money is tight. 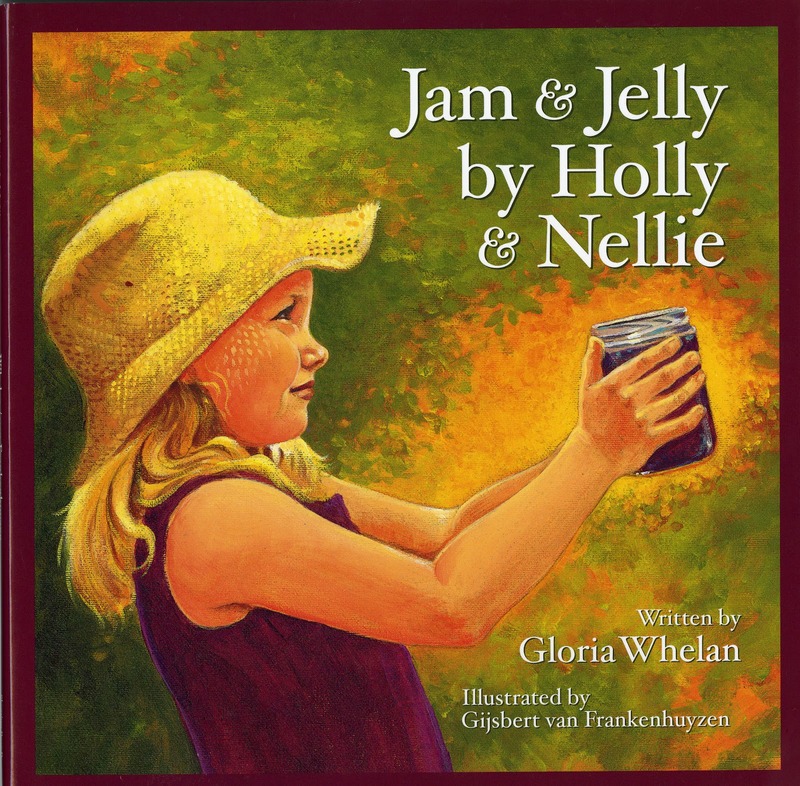 Holly and her mother, Nellie, work all summer long picking wild berries around their northern Michigan home and making homemade jams and jellies to sell on their roadside stand. The story and the illustrations are very attractive and make a nice read on a hot summer day.